Sonic Lost World is an important game in the Sonic franchise. Not only does it mark the franchise’s return to console exclusivity, but after years of flops and disappointments, Sonic is on a bit of a winning streak following Sonic Colors and Sonic Generations. Given what I’ve played of Sonic Lost World, that streak is fixing to continue. We talked to SEGA of America’s brand manager Aaron Webber about approaching Sonic in the new generation in the interview embedded below. Continue on for our hands-on impressions. Now I only played the Wii U version, so that’s what I’ll be discussing, but I thoroughly enjoyed every aspect of the game. The teaser for Sonic Lost World’s release was a bit worrisome, not because it looked bad, but because it looked different. Considering Sonic Generations–widely accepted to be a quality experience–was the culmination of so many games before it, I was slightly nervous at how visually different Sonic Lost World is. After getting my hands on it, however, I immediately welcomed the change and am genuinely impressed with the new style. The demo was split into three levels with three different styles. The first level, Windy Hill, was by far my favorite. The level featured a series of cylindrical platforms, which Sonic could run under, around, or just straight on top of; the nature of alternate paths returns in a big way here. I played the level a couple times because I’m a responsible young journalist (and also a Sonic enthusiast) and I felt each alternate path had varying difficulty as far as execution, yielding different rewards both in-game and experientially. While this is only one of the level styles, I really hope it’s the main one, as mixing camera angles, platforming segments, speed segments and the new parkour system crafted a really enjoyable bit of gameplay. Level design is my biggest point of focus whenever looking at a Sonic game, because so many Sonic games have been trounced by their terrible level design. But there’s more going on in Sonic Lost World. This time Sonic’s three “levels” of speed are modulated by the player, rather than momentum. Simply moving the stick results in a run, holding ZR (right trigger for everyone without a Wii U) gives Sonic a sprint (the speed most will be familiar with) and ZL (left trigger) is the spin-dash. However, unlike in most Sonic games, you can double-tap it to maintain spin-dash speed. This may seem like nothing but added faff to controlling Sonic, but it gives the player a far greater degree of input over what Sonic does. That first run through a level may not have much spin-dashing as you explore and react with caution, or take it slow through a new puzzle segment. The more you play, the faster you tend to get. Or you can just throw caution to the wind and spin-dash through everything because you have the proper tools to be insane. These controls come in handy for the other styles of levels we’ll play through in Sonic Lost World quite a bit. One level has the camera behind Sonic for almost the entire stage, while another took on an entirely 2D-platforming setup. Each level felt different, presenting different challenges with different pacing. While my favorite style was by far the Windy Hill level, these were both quite enjoyable, and the platforming-centric level was remarkably explorable, though perhaps not as much as the Sonic games of two decades ago. Sonic Lost World has me excited. I’m excited to see the new enemies, I’m excited to see more of the crazy geometry-inspired design, and I’m excited to play more of the visually entrancing levels. Being able to control Sonic as you can in this new iteration is a welcome change, and will hopefully help newcomers or abandoners of the franchise re-acclimate to what Sonic’s evolved into. 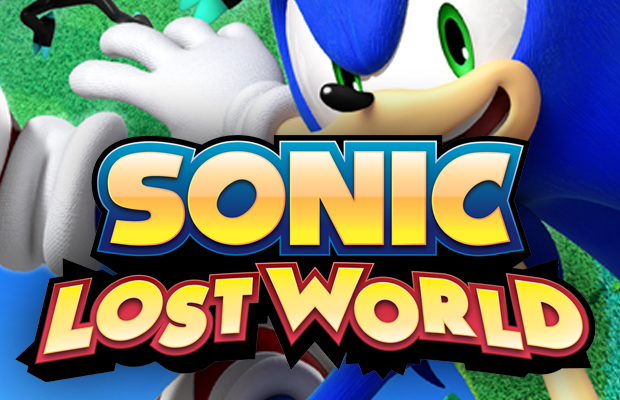 Sonic Lost World is heading to Wii U and 3DS exclusively holiday 2013.